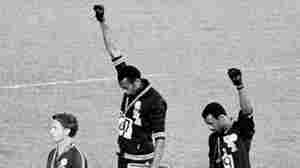 September 3, 2016  After winning gold at the 1968 Olympics, Smith raised his fist in protest and made history. But ask him about the race, and he'll ask you a question in turn: Why did his winning time seem to change? 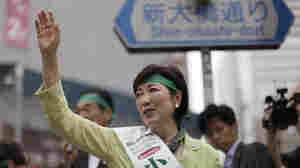 July 31, 2016  Japanese voters have elected Yuriko Koike as the capital's first female governor. She's taking the helm amid high-pressure preparations for the 2020 Summer Olympics in Tokyo. June 17, 2016  Guanabara Bay will host the Olympic sailing competition in August. 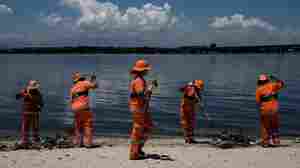 But it's so heavily polluted, it threatens the livelihoods of those who depend on its waters. June 17, 2016  The International Association of Athletics Federations said that despite "good progress," Russia hasn't done enough to address a "deeply rooted culture of tolerance — or worse — for doping." June 3, 2016  Ten refugees — swimmers, runners and judo athletes — have been named to the first-ever Olympics refugee team. They'll compete this August in Rio, where two of the refugee athletes already live. 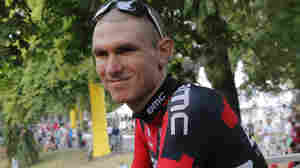 June 2, 2016  Tejay van Garderen's wife is expecting a baby in October. 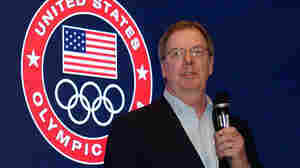 A U.S. Olympic Committee official says the organization isn't aware of any similar cases of an athlete opting out. May 31, 2016  Rio de Janeiro made a big push to provide security in its shantytowns. But some, which were touted as models, are again plagued by gang violence that has terrified residents. 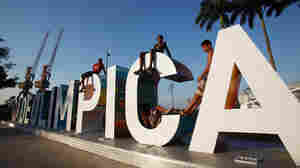 April 11, 2016  The Summer Games open Aug. 5 in Rio de Janeiro, but the country's many problems seem to be turning off ticket buyers in Brazil and abroad. February 10, 2016  The viral video of DeJesus' routine doesn't show an athlete dominating in a traditionally white sport despite her race. She's an athlete celebrating her identity in the sport she loves. January 14, 2016  Brazil was riding high when it was awarded the 2016 Olympics seven years ago. 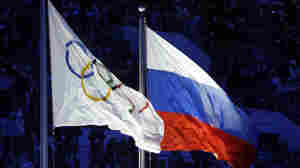 But the country is now in economic turmoil and facing a rash of problems as it prepares for the games in August. 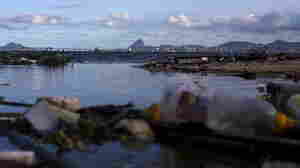 August 1, 2015  The International Sailing Federation says the move is prompted by concerns over athletes' health and safety, after reports of raw sewage and trash in the water around Rio. February 19, 2015  Opposition to the Olympics has grown by 13 percent since Boston was chosen by the U.S. Olympic Committee to be the American bid for 2024. January 8, 2015  Boston won a tight contest to become the next American city to bid for hosting an Olympics, beating out Los Angeles, San Francisco and Washington, D.C., for the right to vie for the 2024 Olympics. February 27, 2014  An estimated 3,000 families have been evicted to make way for building projects related to the 2016 Summer Games. The families and Olympic organizers don't always agree on whether it's an upgrade. Olympics Set To Transform Rio — But For Better Or Worse? 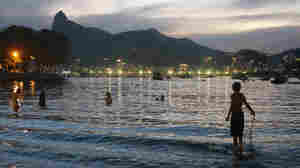 February 17, 2014  Rio de Janeiro is racing to ready itself for the 2016 Summer Olympics. 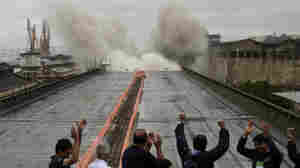 But it's facing difficulties: ballooning budgets, pollution, questions about the development plans and rising crime. Some wonder whether ordinary Brazilians will benefit.